As my first week draws to a close, I’m beginning to feel a little more confident with my project’s structure and its aims. Following discussions with my supervisor and sending off the relevant documentation (I don’t know what I expected, but the ethics form was a bit of a nightmare! ), I have designed and posted my questionnaire. It is my hope that this will give me a better idea of what encourages a person to volunteer with Samaritans. 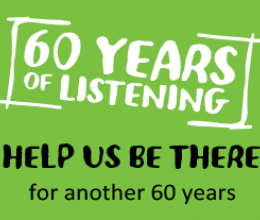 I have also attended a volunteer information evening to meet some potential listening volunteers and make them aware of my project. Thankfully they were very welcoming and seemed eager to be involved. In the coming weeks I hope to amass responses to my survey and also lead some telephone and face to face interviews. Even after one week I have learned a substantial amount about operations within the branch, the support it receives and, more importantly, the support it needs. This has helped shape my understanding of how charitable organisations in general struggle and get by from day to day. Due to insufficiencies within the branch, some volunteers have had to spread their roles to cover many different areas. Finally following talks with my supervisor I’ve learned how the ethos of the organisation has changed and evolved since its inception in 1953, and look forward to becoming a fully fledged volunteer myself in the autumn.